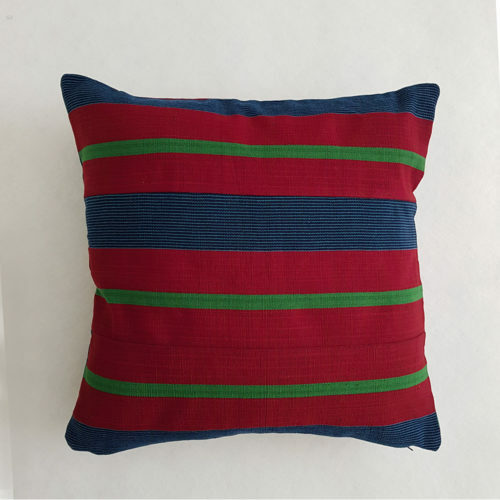 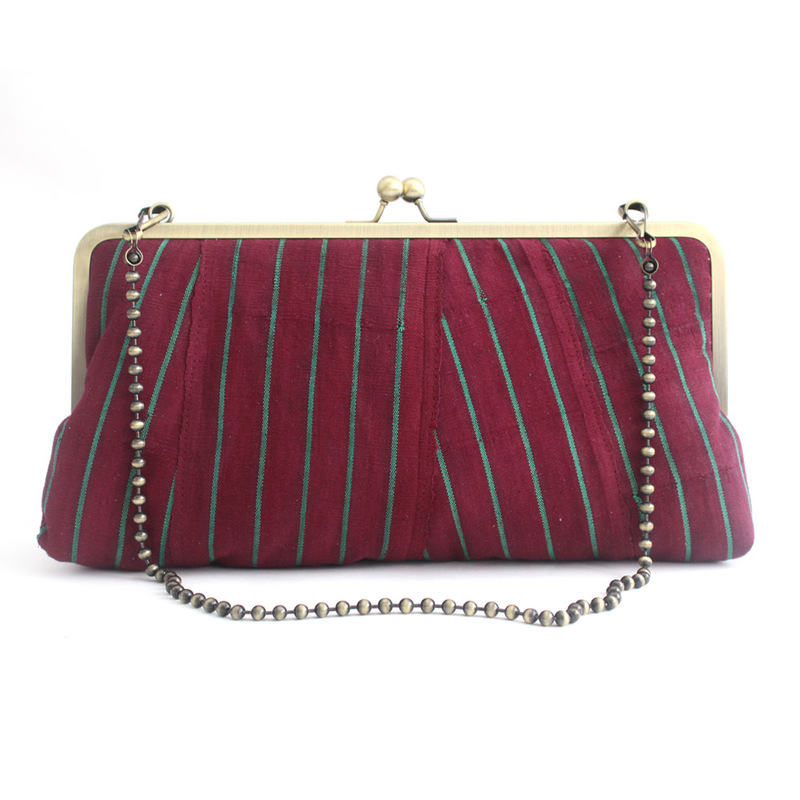 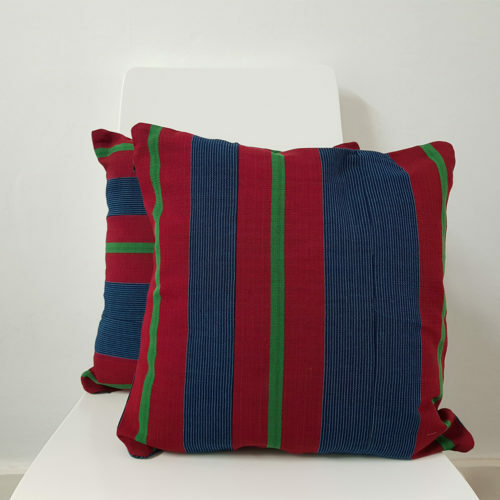 A striking wine and blue striped cushion made in a traditional woven material from Nigeria, West Africa. 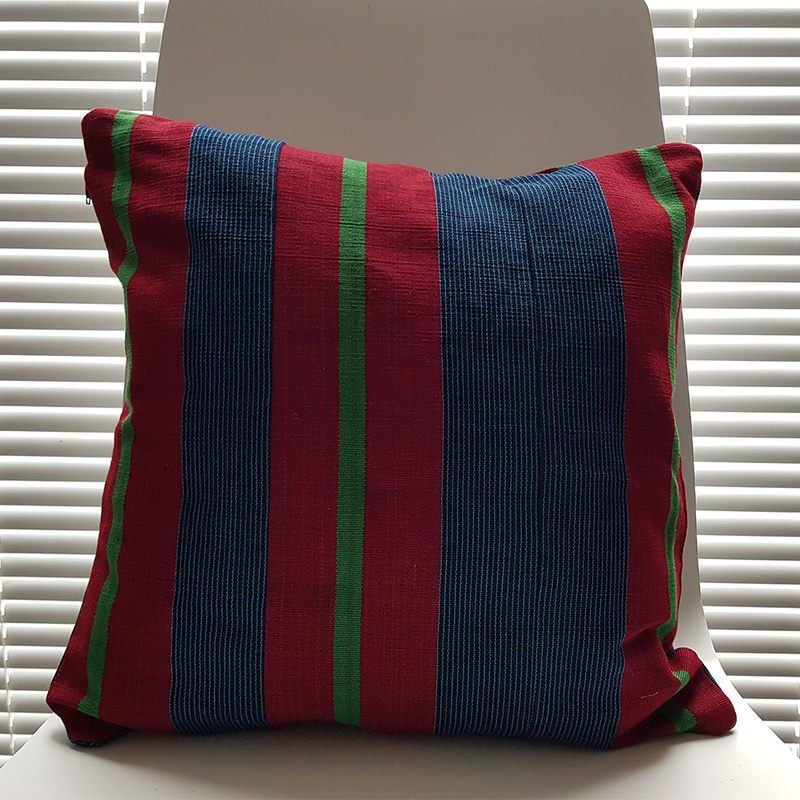 The cushion is made out of Aso-oke. Aso Oke (pronounced ah-SHOW-kay) is a loom-woven textile. 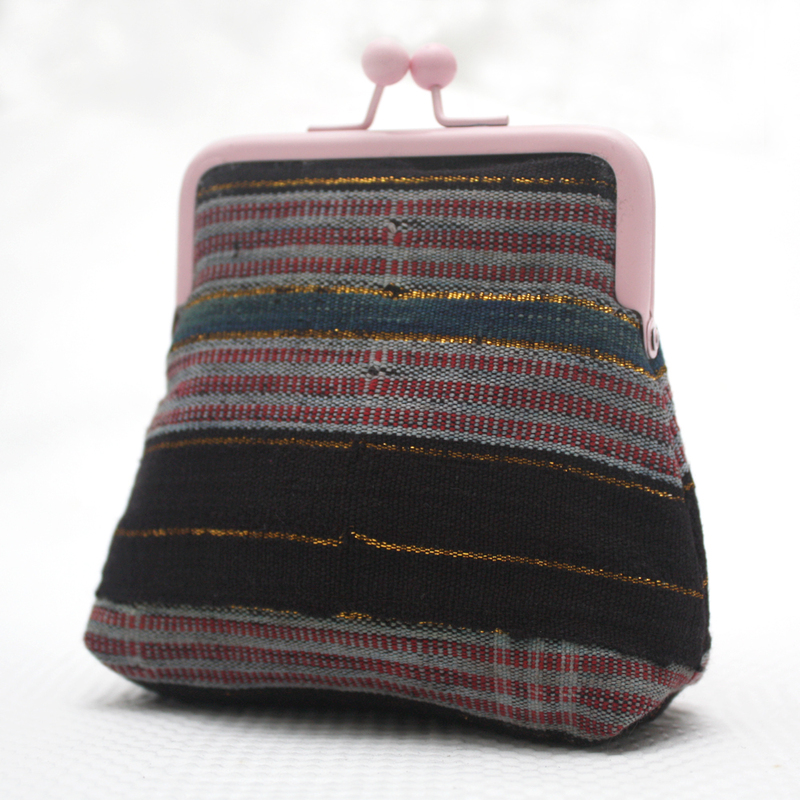 It is a thick fabric and similar in texture to canvas or denim. 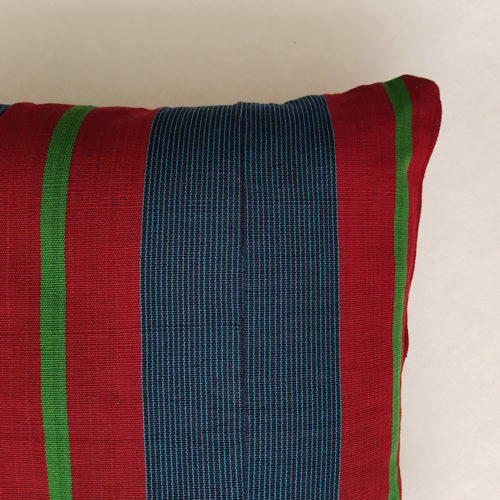 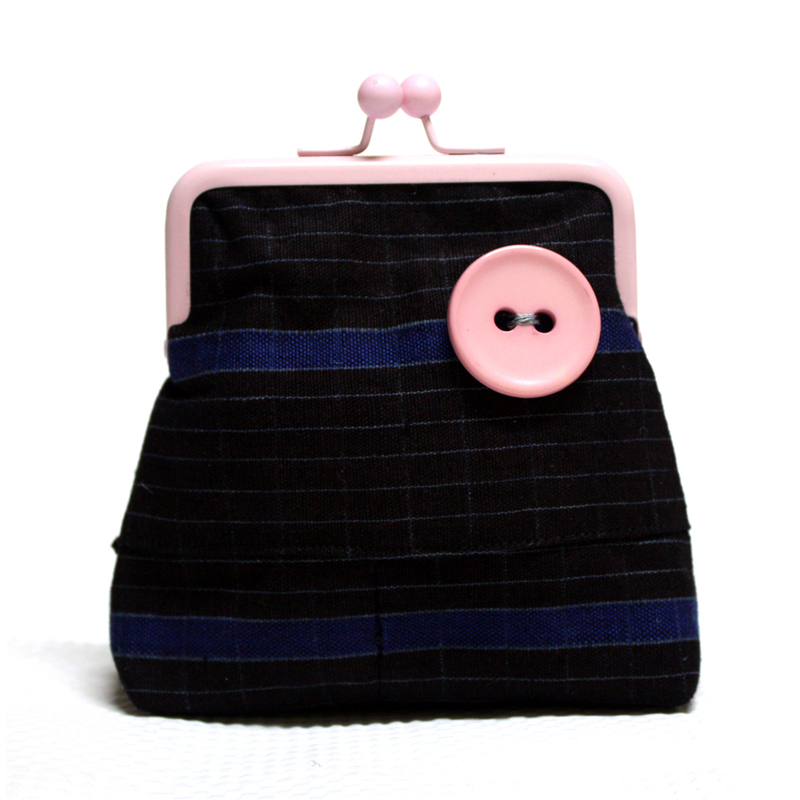 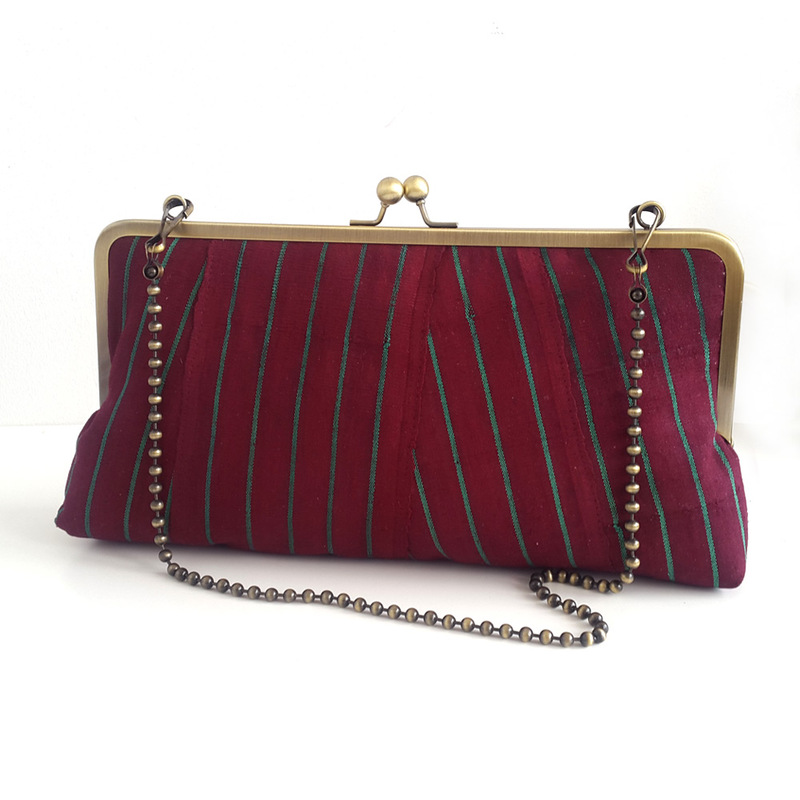 It is hand-woven and the finished strips are usually sewn together to make clothing. The textile is worn during special occasions like weddings, festivals, coronations and so on. 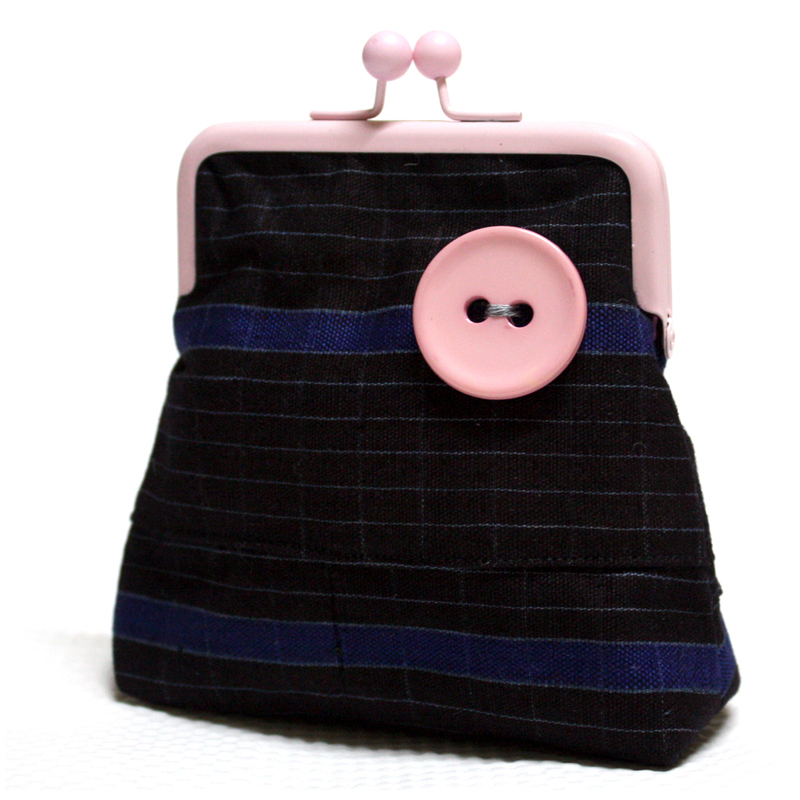 It is a pretty special fabric. 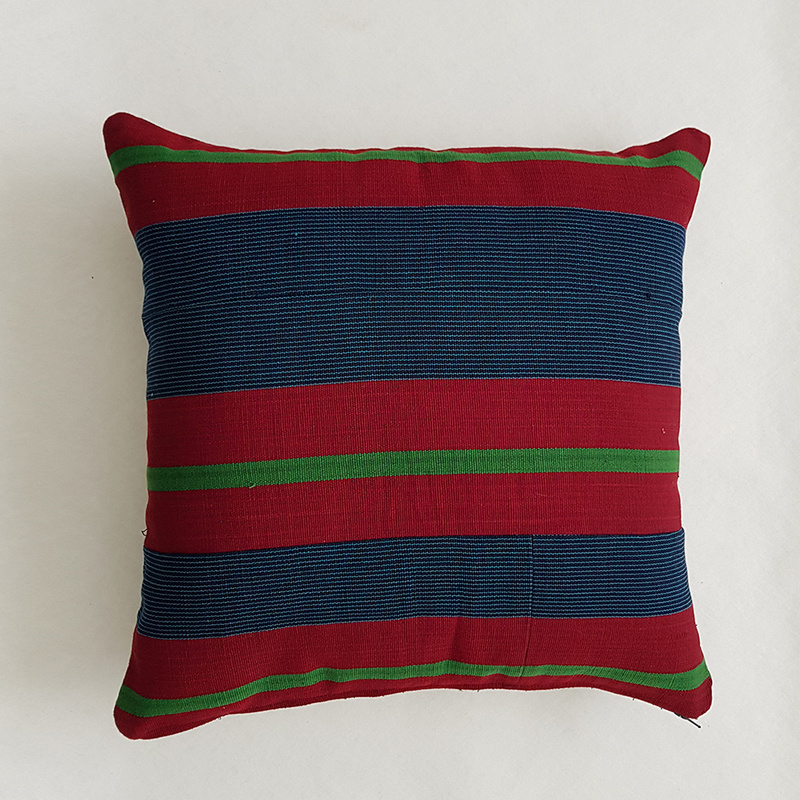 This listing is for one cushion. 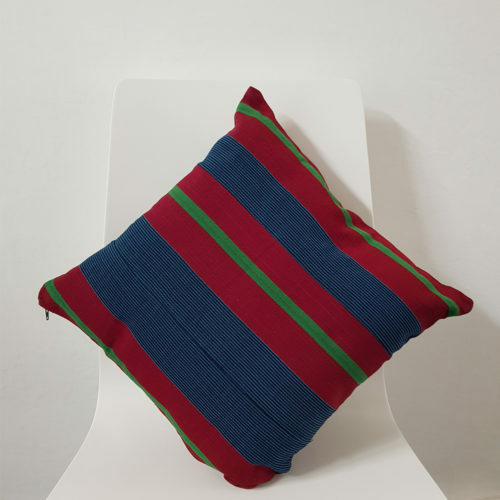 It is a square cushion 16 x 16 inches (40 x 40 cm). 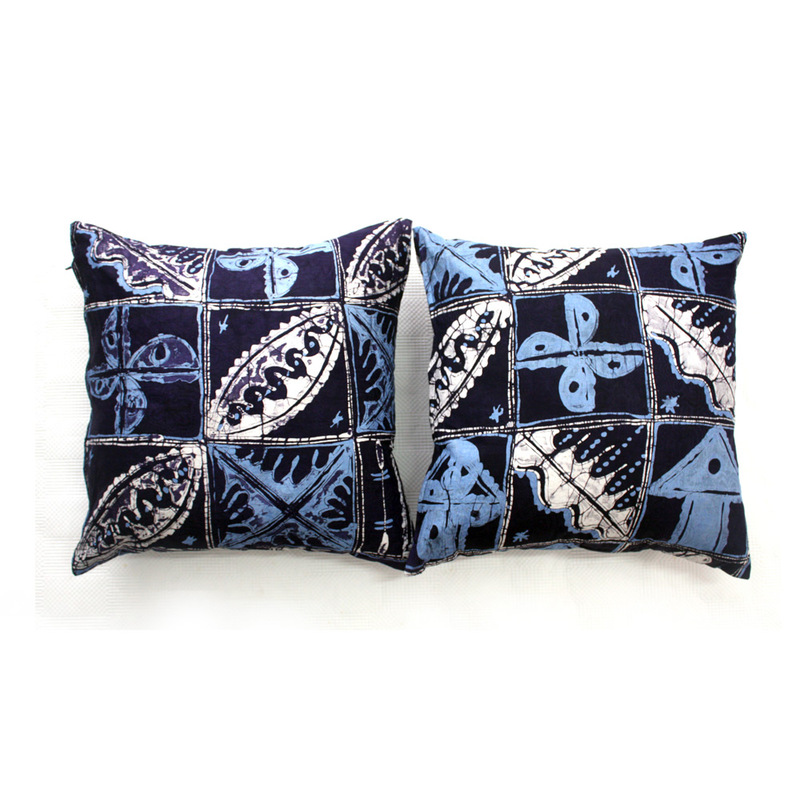 These cushions look beautiful in pairs or as a collection. 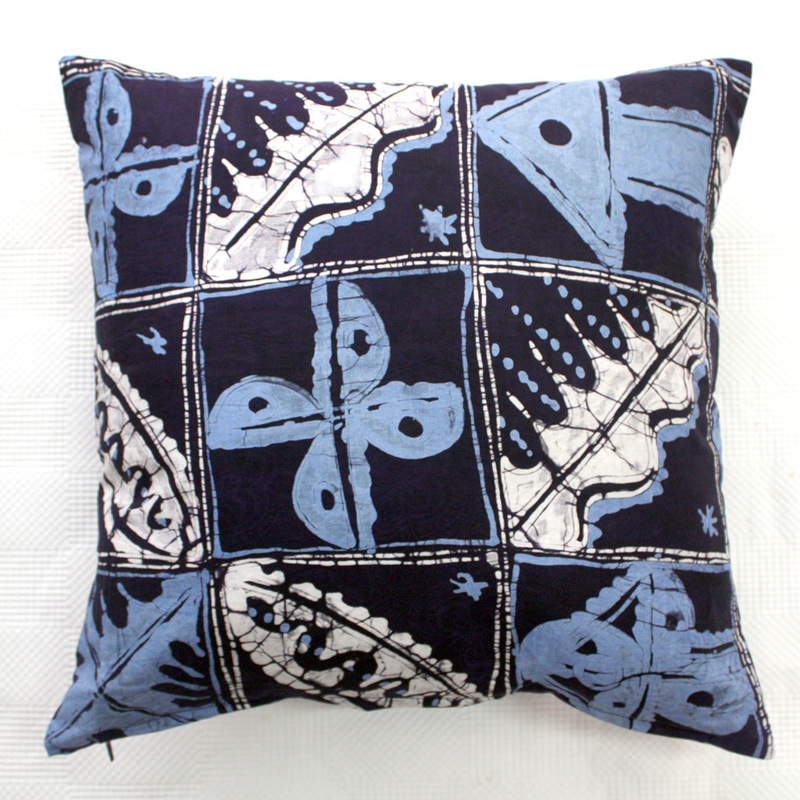 You can also order the cushion with or without the cushion pad. 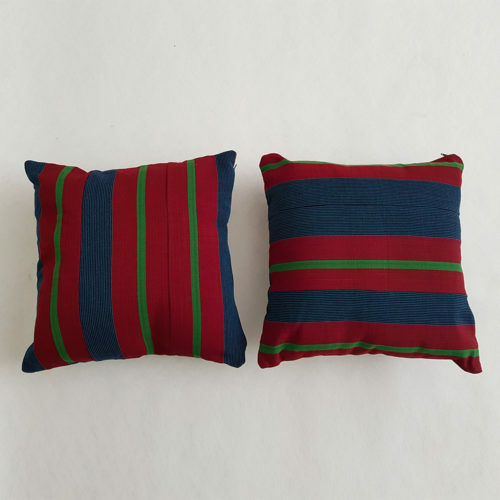 Use cushion pads of 45 x 45 cm (18 x 18 inches) for plump full cushions. In order to have economical postage costs, please order the cushions covers without the cushion pads. 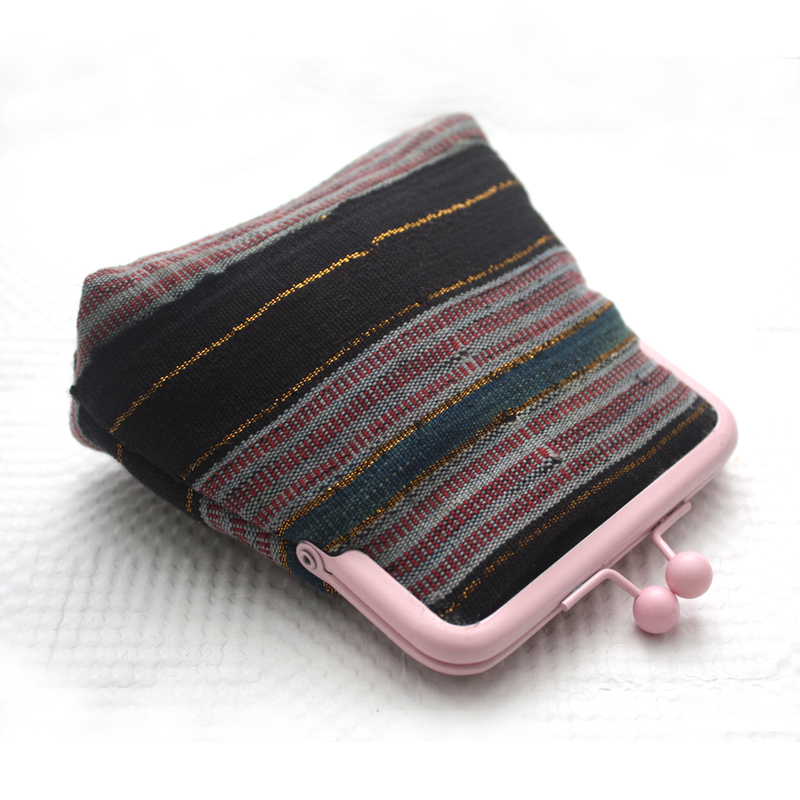 Due to the volume of the cushions with the pads inserted, the shipping costs are high.